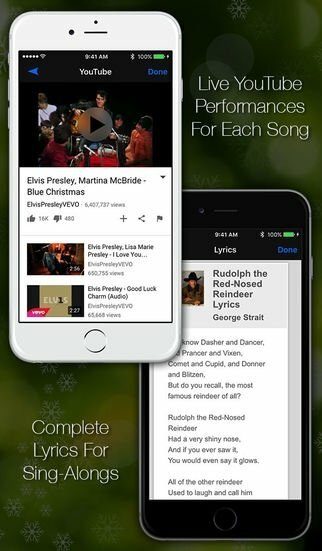 Christmas songs are an essential element for this time of the year. Not only those carols with a religious background, but also others tracks that have become unavoidably associated with Christmas... like the soundtracks of movies set in this time of the year. 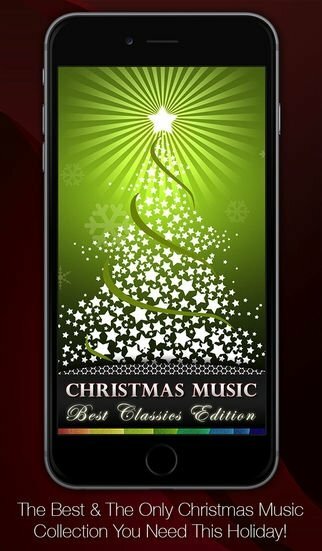 This is an app that brings together a collection of 80 Christmas songs of all sorts belonging to the Top Christmas Songs, Music & Carols with Lyrics. You don't even need an Internet connection because you'll have access to the entire catalog in offline mode. Songs in English, Christian songs, songs for kids, movie soundtracks... all the most popular songs. No need to be connected to the Internet. Playback accompanied by stunning visual effects. Built-in YouTube player to watch live music performances. Add songs to your list of favorites. 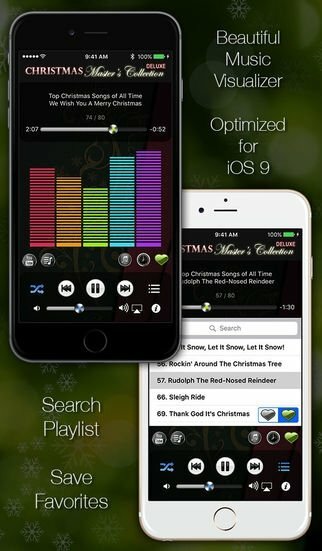 3 playback modes: in loop, random and repeat. 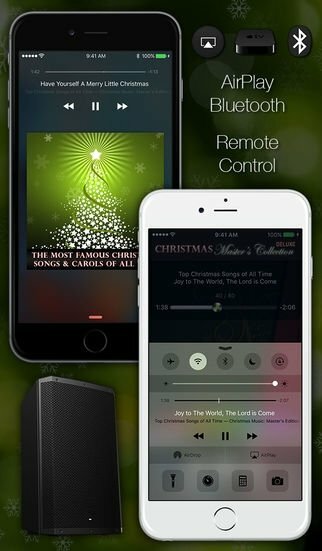 Compatible with AirPlay and Bluetooth headphones. 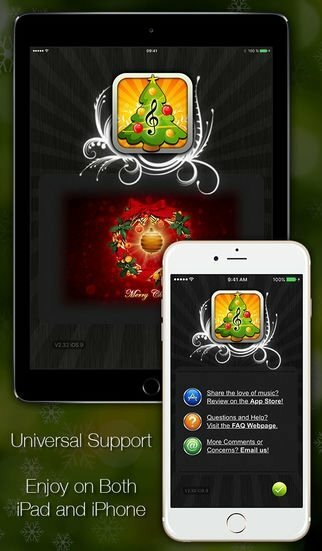 Here you'll find songs like Merry Christmas, Deck The Halls, Jingle Bells, White Christmas or Santa Baby.